This beautiful rainbow marked the near end of a rainy and blah sort of day. It was a full rainbow across the sky… So much so that my children thought for sure the could find one end or the other. The sprinkles on our heads didn’t bother us as the rainbow became brighter and was joined by a second rainbow just above it. A magnificent sight to behold. 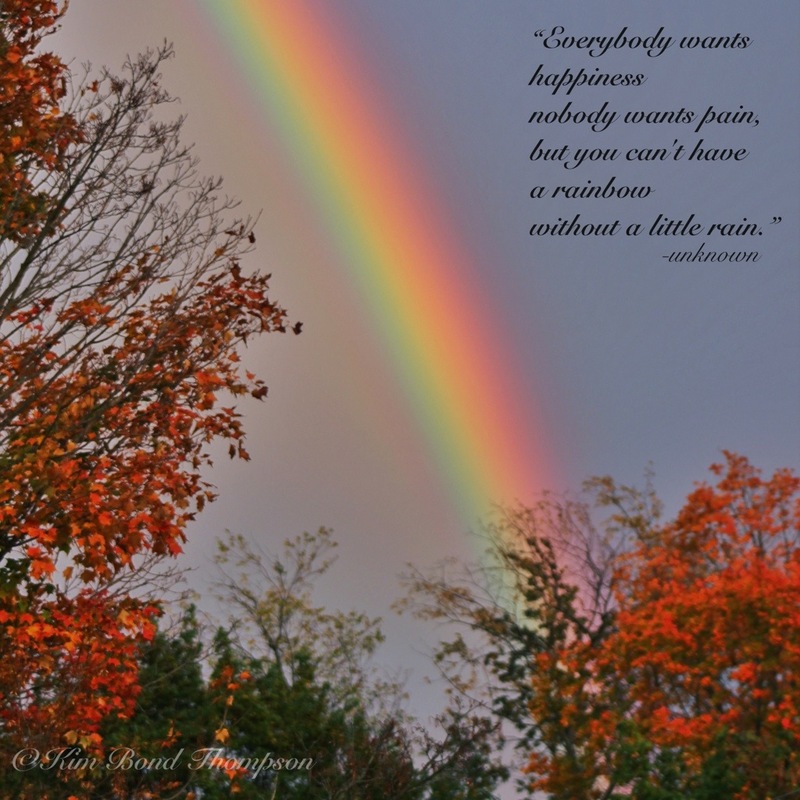 May your life be full of rainbows… But only after brief showers. Reblogged this on Reaching Out.